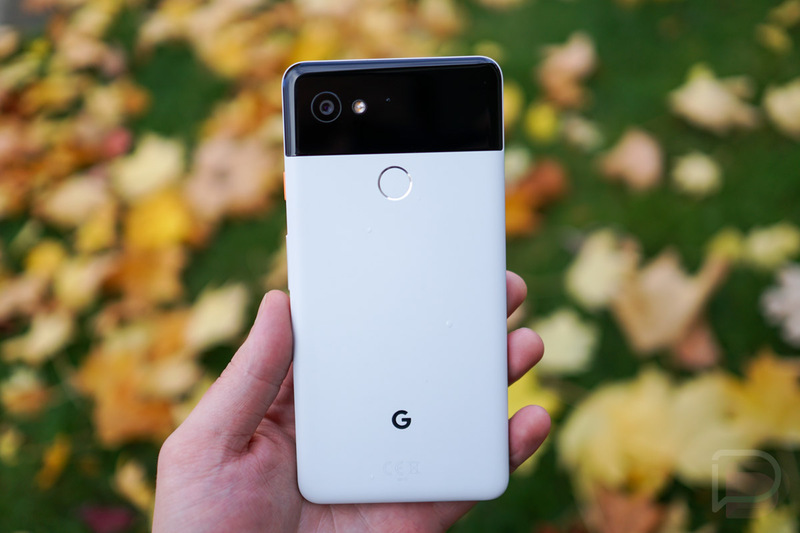 Google tucked a couple of unexpected surprises into the November security patch for the Pixel 2 XL, which just went live as an over-the-air update. 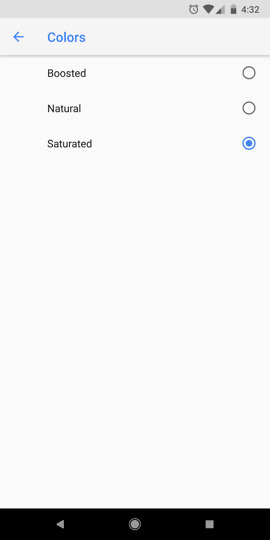 To take care of a couple of display complaints, Google included a new Colors section in display settings that lets you adjust the phone’s color profile, plus they added in a fading navigation bar to address any burn-in concerns. 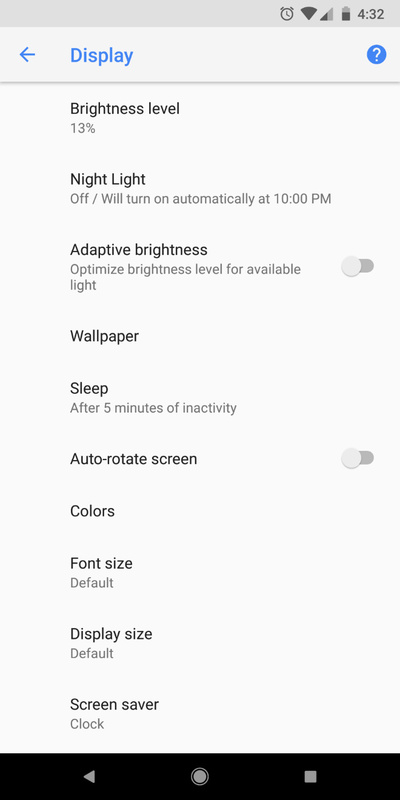 NOTE: These new features are included in the Pixel 2 builds as well. 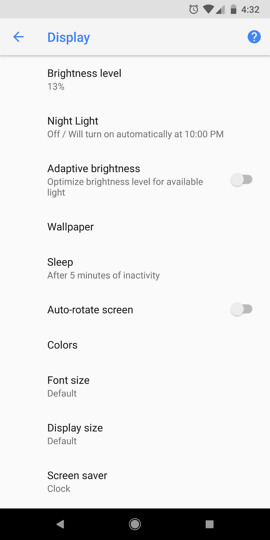 Google told us these two adjustments were coming and we even saw the fading nav bar show up in the Android 8.1 beta. We weren’t exactly expecting both in a regular monthly security patch, though. 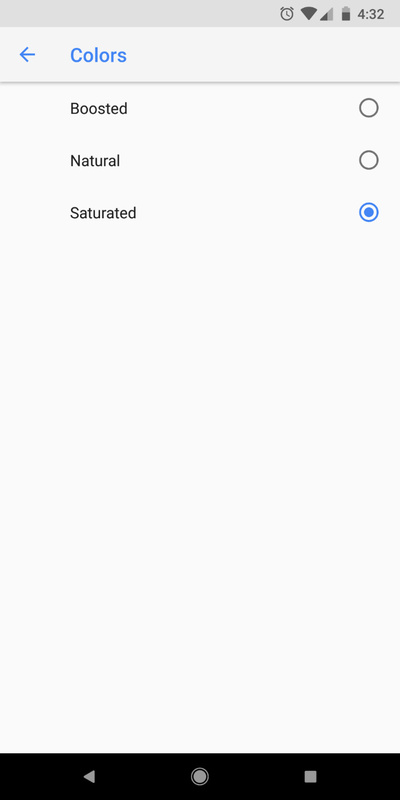 The Saturated color profile that adds a punch to the colors of the Pixel 2 and 2 XL can be found in Settings>Display>Advanced>Colors. Once in there, you can choose from Boosted, Natural, and Saturated. Boosted is likely the Vibrant setting that came with the phone out of the gate, while Natural is likely the sRGB-tuned style that Google would rather you use. Saturated will be less accurate overall, but potentially more pleasing to your eye. As for the new fading navigation bar, well, you don’t have to do anything to activate it. In fact, it’s not a mode, it’s just the way the navigation bar works now. When in apps or moving around the OS, if you don’t touch any of the navigation buttons for a few seconds, they’ll do a subtle fading shift. This should help prevent any long-term burn-in, Google hopes. To check for the update, head into Settings>System>System update. And yes, the update is live right now even if the factory images and OTA files from Google do not currently exist for public download.